Intended for economical, uninterrupted production of large volumes of top-quality components, these highly-automated solutions allow the use of a varied range of materials, reduce waste, and produce lighter parts. These factors are the reason AddUp machines offer a ground-breaking alternative for the aerospace and automotive industries. 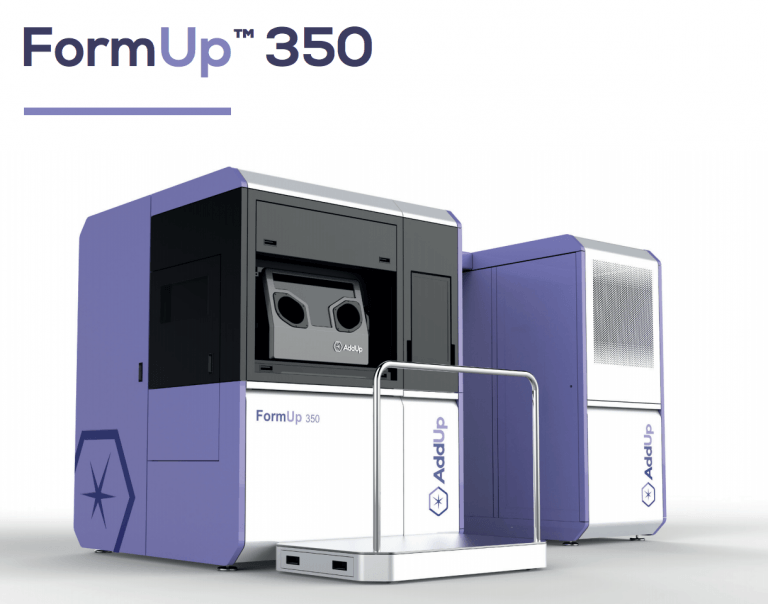 With the backing of two manufacturing powerhouses and millions of production parts already produced on their machines, AddUp are fast becoming a force to be reckoned with in the additive machinery market. When additive manufacturing first made an appearance on the industrial scene, most people thought it was just a tool for rapid prototyping and making concept models. As technology has progressed, the variety and scale of the applications have grown. The product development cycle has become much more streamlined in recent years with more advanced design software, collaborative working processes and the development of rapid prototyping. No longer do companies have to wait days or weeks for a working prototype or concept model. CAD and CAM software such as Autodesk Fusion 360 allows design teams to design and create 3D models, and 3D-print a prototype straight away, reducing the delay between initial design and prototype or concept evaluation to mere hours. This method of rapid prototyping also allows more iterative improvements to be made as designs can be amended easily and prototypes re-printed quickly. Architectural firms are beginning to discover the benefits of additive manufacturing in creating highly precise models. CAD designed buildings can be accurately printed in a relatively short time, allowing architects to gauge the visual effect of their designs, as well as consider the practicalities of certain features. Construction companies are embracing additive manufacturing too. In 2017, Apis Cor built one of the world’s first 3D-printed houses, and amazingly it took only 24 hours from start to finish! The ‘printer’ used a retractable arm that was used to layer the concrete accurately. Around the world, other engineering projects have used additive manufacturing, including the construction of bridges in China. The transport industry is being revolutionised by additive manufacturing. Automotive, rail and aerospace are all beginning to embrace the technology. One of the driving factors is the reduced cost of materials, especially in the aerospace industry. Mercedes-Benz, for example, has additively manufactured some amazingly sophisticated prototypes of new, lightweight and tough cars. They have also used the technology to print spare parts for their trucks ‘on-demand’. Bioprinting is an incredibly useful application of additive manufacturing that involves creating transplantable organs such as human livers from organic materials. Although still in its infancy, it’s predicted that bioprinting will grow by 36% by 2022. 3D printed prosthetics is a wonderful innovation that can create made-to-measure replacement limbs for patients, vastly improving their quality of life. It surely won’t be long before every hospital has dozens of 3D printers at their disposal. Additive manufacturing is also improving the quality of consumer products. For instance, sports shoe manufacturers New Balance have created a new range of training shoe aimed at serious athletes that come with customised 3D printed soles to match the customer’s specific running style. The 4th Industrial revolution, otherwise known as ‘Industry 4.0’, has created a new era of manufacturing processes. One of the most exciting and increasingly used technique is additive manufacturing. If you’ve ever wondered “what is additive technology?” or “what is an additive process?”, then keep reading. To put it simply, additive manufacturing is the process of fabricating an object by building it up in layers. The type of additive manufacturing most people are familiar with is 3D-printing, but there are other types. Objects are constructed in consecutive layers from a vat of photopolymer resin. The method used by most commercially available 3D printers. 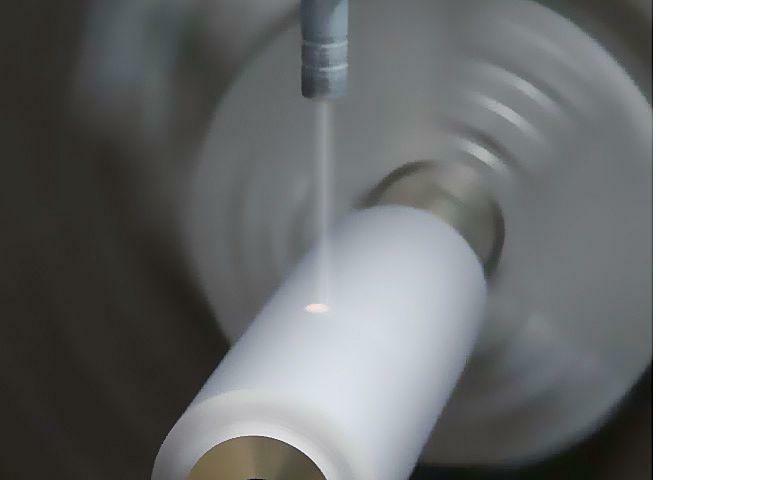 The process of spraying a jet of material (usually a plastic resin) is similar to a standard ink-jet printer. This process uses a binder (usually liquid) and a powder form material. The print heads alternate between depositing the powder and binder to build up the object. Involves one of several techniques, including Direct Metal Laser Sintering (DMLS), Selective Heat Sintering (SHS), Electron Beam Melting (EBM) and Selective Laser Melting (SLM). Most commonly uses Ultrasonic Additive Manufacturing (UAM) or Laminated Object Manufacturing (LOM), which both use sheets of metal welded together ultrasonically. The techniques listed above are the most common, but there are other categories of additive manufacturing. There are a growing number of materials being used in additive manufacturing processes. Engineers are continually figuring out which materials work well for given products and which don’t. Innovative new materials are being created regularly too. Advantages – tough, durable, waterproof, strong in compression and tension depending on type of metal. Advantages – cheap, lightweight, quick manufacturing time, ideal for prototypes. Less common materials include concrete, glass and biomedical materials including stem cells. It’s an exciting time to be involved in manufacturing. New technology, systems and methods are being developed and advanced all the time. Additive manufacturing is still a relatively new technique that is rapidly developing in terms of applications, materials and benefits it can provide. There is high demand for metal 3D printing, especially in the transport and aerospace industry. This demand is leading to technological innovations in metal 3D printing to make it more accessible and affordable. For instance, there are industrial-scale printers that deposit both a metal and substrate material such as wax in layers. A sintering process then gets rid of the substrate, leaving the solid metal product. Researchers are constantly looking for new materials and clever ways to use them. For instance, researchers at MIT have recently developed a method of 3D printing that suspends the object inside a container of gel, removing the need for a supportive base and allowing more complex parts to be made. Duke University researchers have come up with a new biomedical material that mimics human cartilage. Companies that frequently make moulds to mass-produce parts and spare parts are beginning to use additive manufacturing more widely. In the automotive industry, for example, they would traditionally machine a mould insert from aluminium – a costly exercise. 3D printing a mould insert is cheaper and more convenient. Prototype lead times are significantly reduced. Small production runs of complex parts are also expedited using additive manufacturing compared to traditional methods. Complex parts for a jet engine, for example, may require sophisticated assembly and a variety of machines to manufacture. 3D printing eliminates these problems and increases the efficiency of the process. Typically, less material is used to make a product using additive methods. Rather than cutting away surplus material and creating waste, only precise quantities of the material are used. Energy consumption is also reduced compared to intensive manufacturing methods, lowering overheads. Designers are less constrained in the complexity of their designs. Engineers can choose a variety of materials. The productivity of additive manufacturing can be less than traditional methods for certain products. If you’re manufacturing large quantities of simple parts (a basic bracket, for example) then 3D printing can be considerably slower than churning them out on machines. Additive manufacturing needs accurate 3D models created on specialist software. Extensive materials knowledge may also be needed, meaning that skilled design engineers are needed rather than draftsmen. Some products require extra finishing after 3D printing, either due to rough surfaces or slight dimensional inaccuracies.